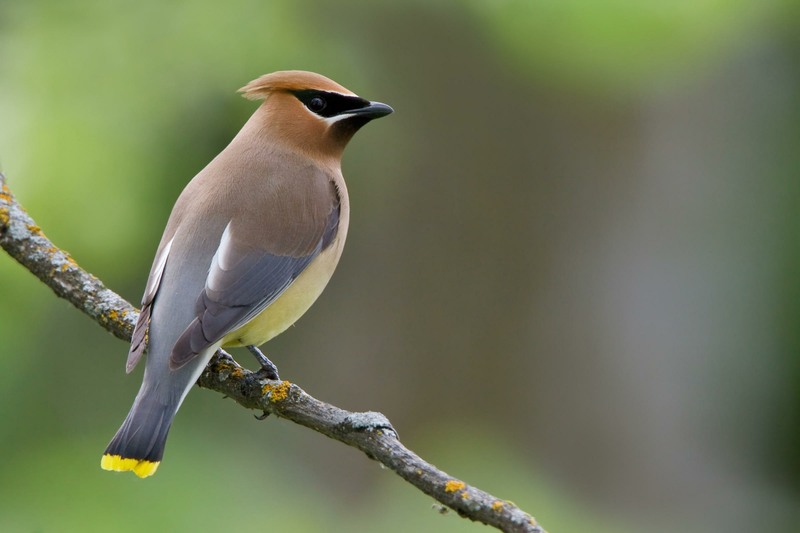 Cedar Waxwings are medium-sized with very smooth feathers. They have a crest that often droops over the back of the head. The wings are broad and pointed, like a starling’s. The short tail is square-tipped. These birds are uncommon in Dewey-Humboldt. Though they usually form large flocks, I’ve only seen two groups of three birds. Waxwings pick berries while perching in berry-laden shrubs or trees or while hovering in mid-air. A line of waxwings perched on a branch sometimes pass a berry from bill to bill, until one of them swallows it. They also cruise over water hunting insects, like abdominous swallows. Nest: Waxwings lay three to five pale gray to bluish gray finely speckled eggs in loose nests built in trees.